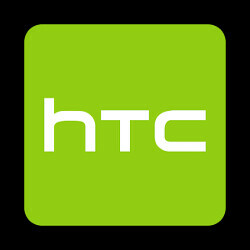 HTC announced today that its revenues for August amounted to $209.94 million USD. While up 4.11% on a sequential basis from July, the total was off 4.51% from August 2015. So far, HTC has generated $1.49 billion USD in revenue for 2016 through the end of August. That is down 47.56% from the eight month total last year. While the HTC 10 is arguably HTC's best phone in some time, the company is running into tough competition from the Samsung Galaxy S7 and Samsung Galaxy S7 edge. And the manufacturer really doesn't have a phone that would be a replacement for those Samsung Galaxy Note 7 buyers who are exchanging their device for a different handset. LG has a serviceable replacement with the just announced LG V20. In Taiwan, HTC has started selling the UA Band smart fitness bracelet. At the end of the month, it will add the UA Heart Rate chest strap. The UA Band, priced at the equivalent of $190 USD, will track daily activity including sleep quality and fitness activity. The UA Heart Rate chest strap is paired with the UA Band to track heart beats, heart rate zones, the intensity of a work out, and the amount of calories burned. The Heart Rate is priced at the equivalent of $83 USD. Later this month, HTC is expected to unveil the HTC Desire 10 Pro and HTC Desire 10 Lifestyle. On October 4th, we expect Google to unveil the HTC built Pixel and Pixel XL. This new line is expected to replace the Nexus handsets. The first Nexus stock Android handset, appropriately named the Nexus One, was built by HTC. Thus, it would make sense to have the manufacturer kick off a whole new line of devices to replace the Nexus handset range. What HTC needs to realise is that,the need to reduce the price of the htc 10 and do more marketing. Yeah, drop it to $600 and market away, I have an HTC 10, love it! "the need to reduce the price of the htc 10 and do more marketing" I doubt price reduction will help HTC, because they probably will not get enough sales and user base to offset the loss in revenue by lowering the HTC 10's price. Most Chinese OEMs, like LeTV, who sell their devices at half the price do make money off the services they offer in their devices, rather than just making money off the sales of devices alone like HTC does. Aye, rip HTC... But I doubt you'll remain in our hearts... Honestly! W'Day! The management should write a book on How To Spoil a Promising company. "VM Architecture" care to explain what you meant by that? fanboy! GreenMan, you can help WP by becoming one of it developer. After you become a developer than you will know how stupid your comment sound. HTC 10 is good phone, but it's overpriced and competition is fierce this year. Not a good combination. But they hey have over 80% market share...lmao!!! Third class Chinese phones with low price tag and Forth class Korean phones with explosive features with high price tag is killing this once great company. Hopefully next year they will release a phone with new design and without the generic looking home button. HTC Pixel and Pixel XL are the beginning of a new legend. HTC is too deep into the hole, 3 and half years not listen to customer. At this point she is too late into the game.